Are you about the strategy to make your jewellery business startup prosper? Or Are you in plan to create/build a mobile app for your jewellery business? In this era of competition, technology has brought the world closer. People wish to have everything at the tip of their fingers. 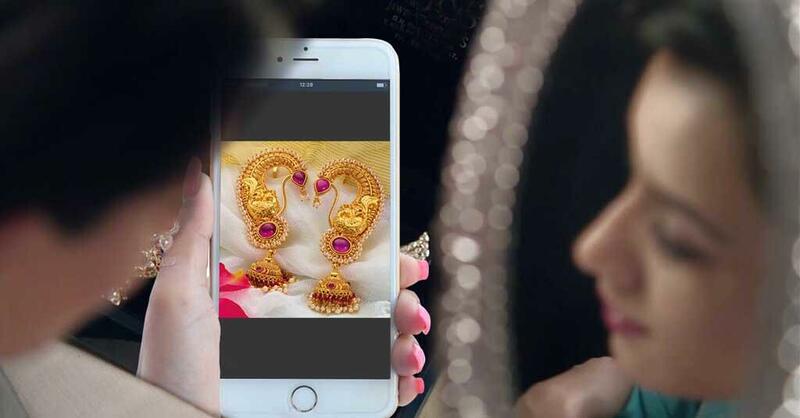 jewellery business Mobile apps are making lives easier. As it is said, ‘a piece of jewellery is often a piece of art.’ And when you are a dealer of art, you need an artistic way to make your business known. A talisman that you need is going online through a mobile app for your jewellery store. You must be wondering, what exactly would you need to make your online jewellery app victorious? You need a system through which you can connect your end users. You should be able to exhibit the latest trends in fashion and festive jewellery on one platform. You need an enchanting interface which is user-friendly and has great visuals at the same time. Here are a few features that could make your Jewellery Business mobile app marvellous. » Login/Signup : The user should sign up to authenticate their true identity in order to avoid frauds. If already signed up, the user should be able to login each time they come back to traverse. » Homepage : The users can add their address, emails and phone numbers to order items on their homepage. The customers will have the order history, added payment methods and personalized alerts on their homepage. » Explore : The user should be able to explore various art pieces that your online shop has to offer. They should find various categories of jewellery that your shop presents. Each category should have the collection of pieces for that particular item. The items should not overlap. » Calculating Price : The user should get an exact calculated price according to the weight of the jewellery piece and its metal. Suppose, a customer buys a gemstone, they should get the price depending on the type and weight of the gemstone. » Adding items to cart : The user should be able to add the items of his choice to cart and then come back to explore the other items. » In-app Payment : The user should be able to add credit card or any other online wallet to process the payments. » Notifications and Push messages : When a customer pays for an item, he should get a message on his cell phone, email and on the app too. » Order Tracking : The customers should be allowed to track order using the order number once an order is placed. They should get notifications when the order is packed, shipped, out for delivery and delivered. The server app for this mobile application for jewellery business will help you to add items, according to various categories, to your online shop. You can also process payments through the server app. The app can also provide chat support to solve your customer queries. You can also send personalized alerts to your prestigious customers about latest offer/discounts. You can also make changes to the homepage to add the upcoming events or exhibitions coming up. Do you have some other fascinating idea? Do not hesitate to give us a call. At Coruscate, we can validate your idea and plan a strategy to help your startup grow. Our skilful team can help you in developing a mobile app that you have always desired. We have developed many successful mobile apps for a lot of jewellery stores. We can build a captivating mobile app for your jewellery store that will make your customers visit you again and again. We have recorded a case study of one of our satisfied client. Below is a link for you to scroll through.